Prepping Your BMW Vehicle for Cold Weather and Snowy Roads | Atlantic Autowerks Ltd.
With the first hints of winter finally appearing, it's time - past time, actually! - to consider prepping your BMW vehicle for winter. If you haven't scheduled your regular maintenance, now is the time to do so. 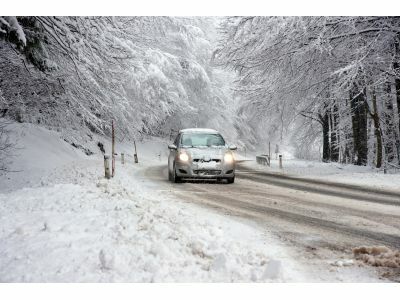 Of course, if you're a seasoned veteran of winter driving, you also know that, in addition to service, there are a few things that you can do to ensure that your vehicle makes it through the winter. In this post, we're going to discuss a few - relatively - quick and easy ways that you can prep your vehicle for cold weather and snowy roads. If you suspect that your BMW's filters need replacing, now is the time to check. Whether air or fuel, your car's filters ensure that your engine stays clean. With a luxury BMW vehicle, it can be tough to stay on top of the small, easily forgotten maintenance tasks. Your car's owner's manual is a roadmap to ensuring that it runs smoothly, regardless of inclement conditions. To ensure visibility, make sure that your BMW's heating and defrosting systems are working as expected. Without them, you'll be staring at the world through and icy windshield. At Atlantic Autowerks, we've provided the area's best BMW service and repair for over forty years. With an experienced team of long-time technicians, we know how to perform all of your vehicle's essential maintenance routines. Whether you need a routine oil change or a scheduled inspection, we're confident that we can provide exactly what you need in a timely, professional and cost-efficient way. If you've been searching for a reliable and trustworthy repair shop to handle your BMW's maintenance, be sure to stop by and give us a visit!